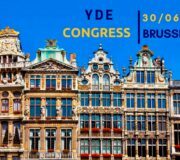 YDE Congress 2018: New Board elected! 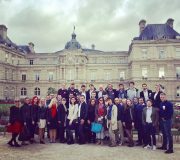 Browsing articles tagged with " Congress"
Young Democrats for Europe stand for shared sovereignty between the European Union and citizens in a multilevel governance framework. Young Democrats for Europe show their fierce commitment towards the democratic values of the EU: equality, inclusion, diversity, cohesion, tolerance and respect. 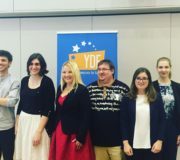 We, Young Democrats for Europe, consider that the best way to address European Challenges is through Education and Culture to improve open mindedness and develop multicultural comprehension. New Young Democrats on the block!